We’d love your help. Let us know what’s wrong with this preview of The Oracle by D.J. Niko. To ask other readers questions about The Oracle, please sign up. I feel like each book has the modern story and then the ‘history’ story….I personally don’t enjoy the ‘history’ stories as much. I feel like Sarah and Daniel could actually explain it more and it could be more engaging coming f I have really enjoyed the Sarah Weston books so far, and this one was no exception. There are a couple of things though that I would like to see change throughout the series though. With this being the third book in the series, I kind of expected a change in the ‘formula’. From clamoring through unstable caves to scaling rock walls, Sarah and Daniel are in a constant state of survival mode. In this fast-paced story Sarah takes the lead, relying on years of physical and mental fortitude to get the job done. Daniel however is nearing his breaking point, which makes Sarah’s strength even more important. The amount of research to pull this story together is clearly evident, and definitely provides a rich and detailed plot for the reader to follow and enjoy. Revie From clamoring through unstable caves to scaling rock walls, Sarah and Daniel are in a constant state of survival mode. In this fast-paced story Sarah takes the lead, relying on years of physical and mental fortitude to get the job done. Daniel however is nearing his breaking point, which makes Sarah’s strength even more important. The amount of research to pull this story together is clearly evident, and definitely provides a rich and detailed plot for the reader to follow and enjoy. Maybe it's my interest in archaeology, but other books that have elicited this type of a reaction from me also deal with the same subject. And even better news is that The Oracle is Book 3 of the "Sarah Weston Chronicles". You can bet the rest of the series, past and future (oh please, oh please!) will shortly on my TBR (to-be-read) list. I liked how the book went back and forth between the 4th century and the present day. Since the story dealt with a 'collector' seeking relics relating to Delphi Maybe it's my interest in archaeology, but other books that have elicited this type of a reaction from me also deal with the same subject. And even better news is that The Oracle is Book 3 of the "Sarah Weston Chronicles". You can bet the rest of the series, past and future (oh please, oh please!) will shortly on my TBR (to-be-read) list. I liked how the book went back and forth between the 4th century and the present day. Since the story dealt with a 'collector' seeking relics relating to Delphi, it was especially nice to read about the front end of the omphalos' history. The human nature tendency toward greed and self-interest shows in both ancient and modern times. No big surprise there. The so-called 'Christian' conquerors of the region imposed their religion on the indigenous population, declaring any other beliefs as devil-worship and viciously attacking any who opposed them. Aristea and her associates just wanted to practice their rituals in solitude, regardless of the fact that no pilgrims came (due to the threats from the government). Nope. So sorry. Our way or the highway. Modern-day Greece (in the book) is not much better, if at all. Various groups are willing to kill anyone who gets in their way. The object? All the 'bad guys' are after certain artefacts they believe will bring them great economic or political power, or allow them to extract revenge for (perceived) wrongs. Thank goodness there are people like Sarah and Daniel, who are willing to intervene, even in the face of danger. Both these individuals are not paragons, and that makes them all the more real. Daniel has PTSD from a plane crash. Sarah makes important decisions before she has all the facts, leading to needless separation from Daniel, one of the few true friends she has. You want a tale with a finely-muscled caped crusader hero and a hothouse flower heroine? Get a comic book. On the other hand, if you want a thrilling story with plenty of action and danger, get The Oracle by DJ Niko. Seriously. Soon. 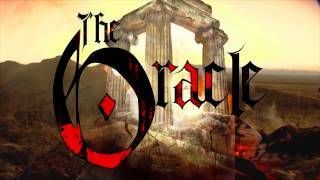 The Oracle is a fast-paced, well written novel about the nitty gritty and often treacherous world of antiquities black marketing focussed on the ancient Oracle of Delphi. D.J. Niko runs two timelines; that of Aristea, the last Oracle (or priestess) of Delphi, back in 393 CE, and Sarah Weston in modern day, pursuing an important artifact related to the Oracle. I like Aristea’s story running along intermittently with the present as it gives us a window into the world where the sacred objects that g The Oracle is a fast-paced, well written novel about the nitty gritty and often treacherous world of antiquities black marketing focussed on the ancient Oracle of Delphi. D.J. Niko runs two timelines; that of Aristea, the last Oracle (or priestess) of Delphi, back in 393 CE, and Sarah Weston in modern day, pursuing an important artifact related to the Oracle. I like Aristea’s story running along intermittently with the present as it gives us a window into the world where the sacred objects that garner so much interest now come from and to see past and present action occurring in the same Greece location. In modern day, the continuous action sequences of Sarah’s and Daniel’s pursuit and investigations on the obelisk stake make me a feel like I’m in a James Bond film as we travel to different locales to uncover the mystery. There’s good flow, and sense of urgency throughout and we are treated to military and Russian villains, and Syrian IS. The oracular artifact is of great interest to these and other groups as it can give them enormous power. I like Sarah as a strong female protagonist; she’s smart, and brave. As the story focuses more on the race to find out the truth about the artifact and why a mysterious group is after it, there’s not really enough room to develop a romance between Sarah and Daniel though there’s a thin subtext about it throughout. However, they do have a special and very solid connection. The Oracle is based in the fabulous cultural heritage of Delphi and the author has obviously done a lot of research so there’s a certain amount of info relay. Niko writes some wonderful descriptions, but sometimes I felt the story was a bit dry. I also found the type script technically is just large enough that you have to continuously keep scrolling the pages fast which kept my finger always on my mouse (or maybe I was anxious to see what’s happening next!). I also really liked the secondary characters that add a lot to the story. 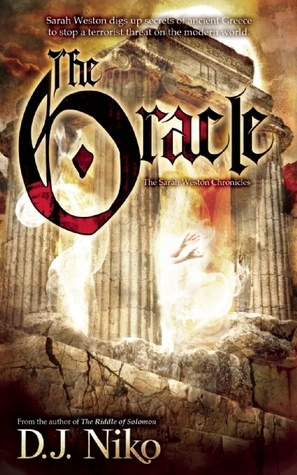 Ultimately, I would recommend The Oracle as a great read for those who love action- oriented novels on the background of ancient Greek history and linked directly into important issues of our times. 4.5 Stars! I’ve enjoyed D.J. Niko’s Sarah Weston books from the beginning with THE TENTH SAINT. Niko combines non-stop action against a fascinating historical backdrop. To that she adds a hint of romance between Daniel and Sarah. They love each other. There is no doubt about that. But time and circumstances keep pulling them apart. In her latest, THE ORACLE, Niko puts them through the ultimate test of trust—the secret Daniel is keeping from Sarah is perhaps the most painful of all. I found myself practically yelling at the character “Tell her, just tell her!” But if he did, he would no longer be the Daniel readers have come to know. Both Sarah and Daniel are smart, professional and above all ethical. They seek historical objects to preserve, not own them. And they would never use them for their own gain yet in THE ORACLE Daniel is put in the position of having to perhaps compromise his very value system. Niko does a fantastic job showing how he battles not only that demon, but his own inner fears in the aftermath of the plane crash that almost killed him in THE RIDDLE OF SOLOMON. I also enjoyed the inner weaving of what is in many ways a parallel story with the events of the fourth century with Sarah’s in the modern day. It is almost as if Sarah is righting the wrong done centuries before. This series makes me want to go on an archaeological dig myself or at least take a class in the subject. I can’t wait for the next installment. Nonetheless, this was a FANTASTIC addition to the "Sarah Weston Chronicles." When I read the first book in the series "The Tenth Saint" I was so engrossed in the story and in the heroine-Sarah. Although I did not read the second book "The Riddle of Solomon" I was still able to enjoy "The Oracle." In true Niko fashion the story has adventure, mystery and non stop action. I loved how she incorporated a real-life struggle of protecting artifacts from being destroyed. Also, I'm a romantic at heart and I love the continued struggle between Sarah and Daniel. The story flashes back to the past and then to the present. I thought that this really provided great insight to the history and gave more perspective on the struggle of Minona Empire. Sarah und Daniel befinden sich auf einer Ausgrabund in Griechenland. Daniel macht Extratouren ohne Sarah zu informieren als ein Einbruch in das Museum bei der zum Glück nichts gestohlen wird Sarah auf ein Artefakt aufmerksam macht, welches nicht ausreichend untersucht wurde und im Fokus der Diebe gewesen ist aber durch Zufall für weitere Untersuchungen im Tresor gelagert wurde. Der dritte und letzte Band der Trilogie ist wieder in zwei unterschiedlichen Strängen geschrieben. Wir erleben die Abenteuer der Priesterin Aristia im Griechenland um das Jahr 393 n. Chr. Wo die Kulte der alten Götter durch die Christen verboten werden und die Bevölkerung gezwungen wird sich zum christlichen Glauben zu bekennen. Daniel und Sarah müssen gegen einen Kult ankämpfen, die versuchen die alte griechische Religion neu auferstehen zu lassen und gleichzeitig eine pythagoreische Formel zu finden um die Menschheit zu knechten. Klingt spannend, aber trotz hohem Tempo wurde es nicht wirklich spannend. Die Abschnitte im antiken Griechenland sind sehr interessant erzählt und lassen diese Zeit in neuem Glanz erstrahlen, die Abschnitte mit Sarah und Daniel sind aber leider eigentlich nur eine Wiederholung des vorherigen Buches an anderen Schauplätzen. Einmal mehr erleben wir die Archäologen dabei wie Indianer Jones und Lara Croft zu handeln, Daniel macht Extratouren und Sarah ist eben Sarah. Zweifelt an der Liebe von Daniel und begibt sich in Gefahr. Kann man lesen, muss man aber nicht da die Reihe abgeschlossen ist. Handwerklich ist das Buch aber noch immer gut geschrieben und so freue ich mich darauf, dass die Autorin sich neuen Abenteuern mit anderen Protagonisten zugewendet hat. As enthusiastic as I was about this series after the first book, I can now say I’m ready to put the Sarah Weston Chronicles to rest. I enjoyed the archeological and historical aspects of the books, and in this third installment, Greek mythology is the focus. During the 4th century CE, a Christian emperor imposed his beliefs on the nations he conquered, and the Oracle of Delphi is no exception. As her temple and its treasures are pillaged and destroyed, the Oracle is faced with conversion and tor As enthusiastic as I was about this series after the first book, I can now say I’m ready to put the Sarah Weston Chronicles to rest. I enjoyed the archeological and historical aspects of the books, and in this third installment, Greek mythology is the focus. During the 4th century CE, a Christian emperor imposed his beliefs on the nations he conquered, and the Oracle of Delphi is no exception. As her temple and its treasures are pillaged and destroyed, the Oracle is faced with conversion and torture. Her refusal to turn away from Apollo and the wisdom of her gods leads her to a mysterious cave that would be her final resting place. Present day: Sarah and Danny are in Greece when the key to the Oracle’s cave is the target of thieves. But Danny is hiding something, and his duplicity causes a rift between the partners. Add to that a neo-pagan terrorist and long-lost Pythagorean knowledge, and it got a bit jumbled. The narrative lacked flow and the writing was disjointed. Now that it seems Sarah and Danny have found their happy ending, I feel fine parting ways with them. The third in the Sarah Weston Chronicles, I kept thinking I was missing something. While I loved the premise, antiquities, ancient Greek culture, archaeology, something vital was missing and I felt I needed to go back and read the first two books. I love reading local authors and hope Ms. Niko will bounce back with her next book. Tale built around the ancient and modern day Delphi with the protagonist, Sarah Weston with her friend/lover Daniel Madigan trying to solve an ancient code to prevent potential disaster in today's world. D.J. Niko is the pseudonym for Daphne Nikolopoulos, a journalist, author, editor, and self-proclaimed modern nomad who has spent the better part of two decades traveling the world. As a former travel writer and zealous adventurer, she has visited remote spots on six continents, many of which have inspired her novels. She has a particular passion for deserts and the nomadic way of life and has spen D.J. Niko is the pseudonym for Daphne Nikolopoulos, a journalist, author, editor, and self-proclaimed modern nomad who has spent the better part of two decades traveling the world. As a former travel writer and zealous adventurer, she has visited remote spots on six continents, many of which have inspired her novels. She has a particular passion for deserts and the nomadic way of life and has spent time among various tribes in Africa and Asia. The Tenth Saint is her debut novel in The Sarah Weston Chronicles series of archaeological thrillers. It won the Gold Medal for popular fiction in the 2012 Florida Book Awards, a juried competition seeking to identify the best literary works in the state. Next in the series is The Riddle of Solomon (2013) and The Oracle (coming November 2015). On the historical fiction side, she is author of The Judgment (due out October 2015), which won First Place in Historical Fiction at the 2014 Royal Palm Literary Awards. Daphne was born and raised in Athens, Greece, and moved to the U.S. when she was in middle school. Though English was not her native language, she became an award-winning writer and influential editor. She is editor in chief of Palm Beach Illustrated, a highly respected regional magazine, and editorial director of Palm Beach Media Group.